Oracle Data Relationship Manager ships with a robust webservice API which can be used to develop customised screens and workflows uisng Java. However, one of the first steps before embarking on that process is to deploy the DRM Webservice API onto Oracle Weblogic application server. Oracle have provided a very good tutorial on how to deploy webservice. You can find it here. 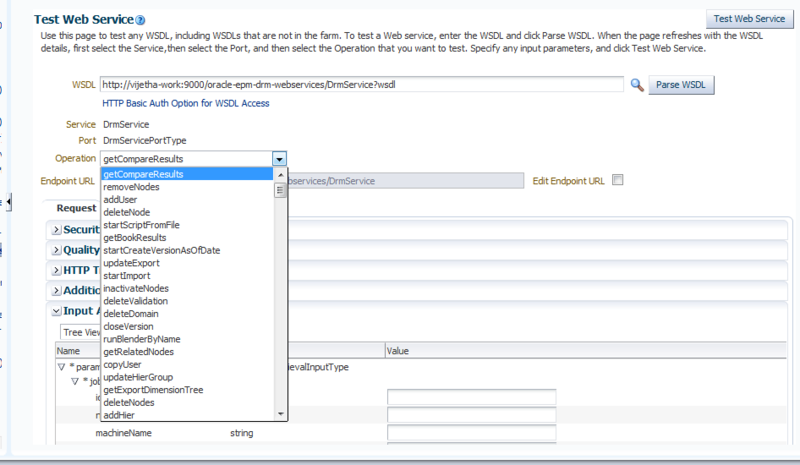 If you are following this tutorial to deploy the webservice API you can ignore the part about setting up Oracle Internet Directory. You can simply use the native users for security purposes. Next step is to actually test the deployed webservice. While it is perfectly ok to test it on the browswer using enterprise manager, I found that the interface is not particulary user-friendly. For one, the list of API calls is not displayed in alphabetical order, and there is no option to store credentials for reuse. Everytime you come to EM to test an API you have to go through the chore of searching for the required API from the dropdown list and then going into each of the fields entering data and it gets quite tedious. Thankfully, you could simplify this process by using SOAP UI. Before reading further, the authors assume that you have an installed copy of SoapUI and a deployed DRM Webservice ready for testing. 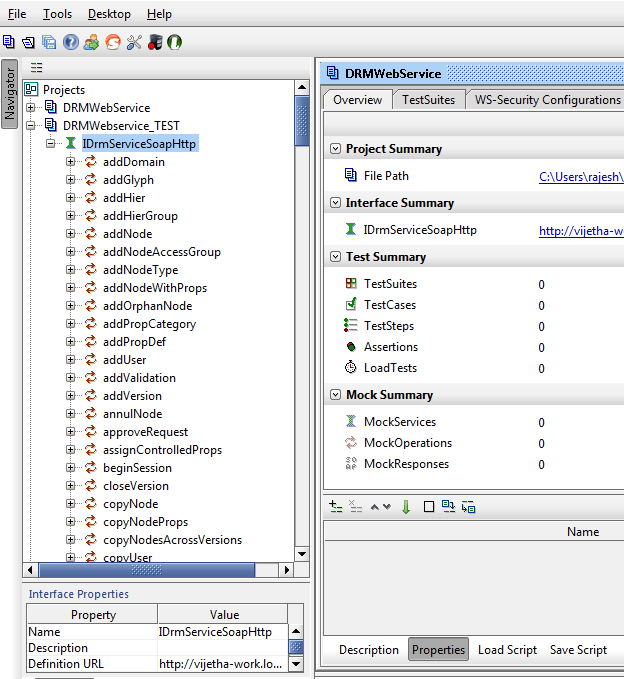 The very first step is to create a new project using the WSDL for DRM Webservice. Noice how the API calls are all listed in a neat alphabetical order. 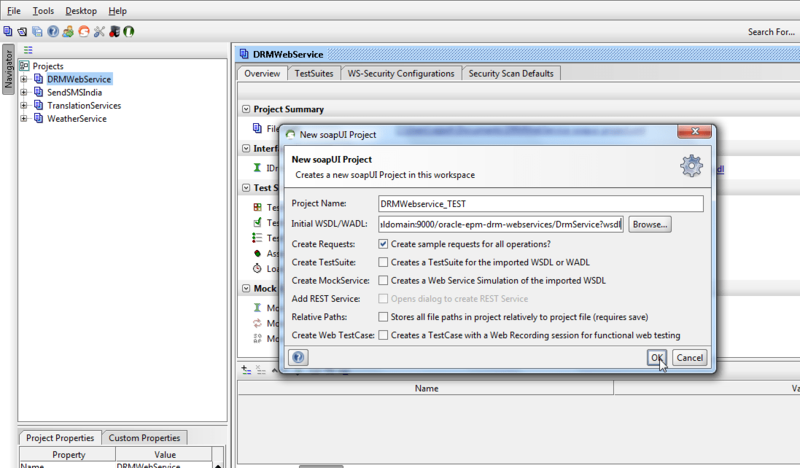 Select any request that you would like to test, and you will see the secuity credentials screen as below. Enter the credentials as per your user access settings. 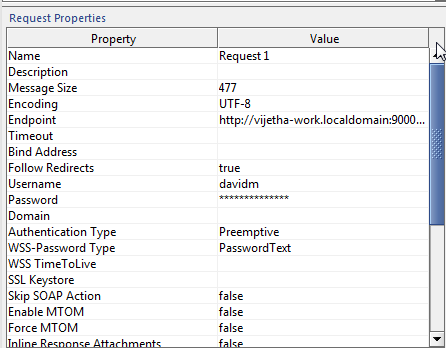 On the right hand side, you see the input and output screens for that particular API call. 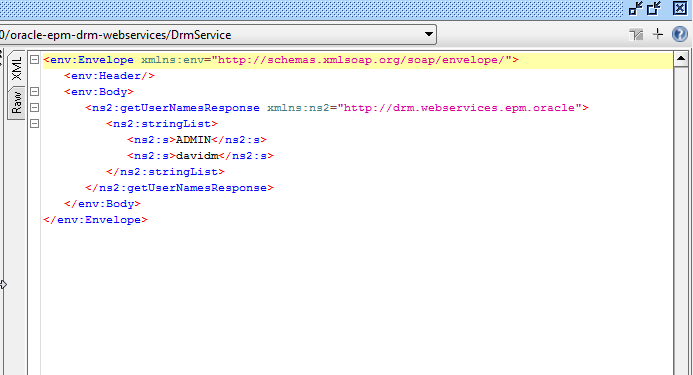 Below is a scrennshot of the RAW XML payload without the server details embedded in it. Add the payload as per instructions in Oracle tutorial given at the beginning of this post. With the proper payload, the request screen should look as below. If everything goes well, the following screen with successful output should appear on the results window. Using this approach you can test various API calls avaialble with DRM webservice. On a side note, the latest version of DRM ships with builtin workflow, and the workflow tasks are available as APIs too. However, the WSDL is different for those API calls, and they are collectively called as “Governance APIs”. Please bear with us while we migrate the site from our old server. There may be some broken links and empty pages, but not for long. The blog posts are all there, so you can check them out.